Like her mother’s, Avery’s powers refuse to be contained. When she causes a bizarre explosion at the factory, she has no choice but to run from her lies, straight into the darkest corners of the city. Avery must embrace her abilities and learn to wield their power—or join her mother in the cavernous horrors of the Tombs. And the Tombs has secrets of its own: strange experiments are being performed on ‘patients’…and no one knows why. 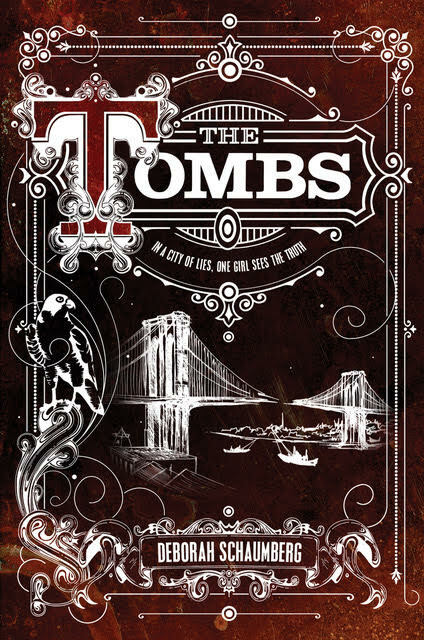 The Tombs takes readers on a breathless trip across a teeming turn-of-the-century New York, and asks the question: Where can you hide in a city that wants you buried?